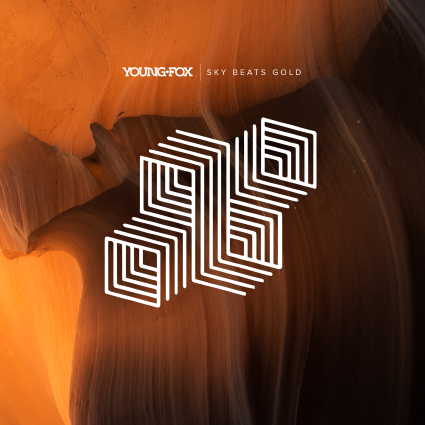 Dark and brooding yet eloquent and moving, Sky Beats Gold, the latest release from Young Fox, is an effort in melancholia. Sky Beats Gold is a blend of heady, potent and moody orchestrations (“We Move As Wolves,” “Slow Burn” (which features a guest appearance by Anberlin’s Stephen Christian), “Hearts of Men (Part 1),” “To Be Moving”) and powerful, bombastic outings that see Young Fox exploring their heavier side (“Sometimes the Monsters Win,” “Atom Smasher,” “We Are Not the Wolves”). Beyond that, “Wine of Violence” peels back the layers of Sky Beats Gold further, exposing a raw underbelly, one teeming with unadulterated passion and expansive closer “Hearts Of Men (Part II)” manages to swell the reaches of Sky Beats Gold even further in anthemic and grandiose fashion. Fans of dredg, Black Map and Far (or anyone who digs atmospheric rock) – Sky Beats Gold may be your new favorite record.